Google “keto diet” and page after page will pop up about this popular diet. Many people are using it to lose weight. But is it a healthy choice for people with cancer? Learn what Karen Vincek, RD, LDN, a registered dietician at Fox Chase Cancer Center, has to say about the diet. A ketogenic—or keto—diet is high in fat and low in carbohydrates. The diet is supposed to cause the body to break down fat into molecules called ketones. These ketones then become the main source of energy for many cells in the body. “Keto” and “low-carb” are sometimes used interchangeably when describing the diet. But that’s not quite accurate. The diet can be challenging because it requires eating exact amounts of carbohydrates, fats, and proteins. A person on a classic keto diet consumes 5 percent or less of their daily calories from carbohydrates, 80 percent from fat, and 15 percent from protein. Is the keto diet used to treat cancer? The keto diet isn’t new—it was developed in the 1920s to curb seizures. Currently, it may be used in children with epilepsy who don’t respond to standard treatment. Research is underway now to examine how the diet might help people with certain kinds of cancer—including breast, endometrial, prostate and brain cancers. How might the keto diet help treat cancer? In simple terms, it may deprive cancer cells of the glucose (sugar) they need to grow. Glucose is delivered to cells via the blood from the digestion of carbohydrates, which is why the keto diet is very low in carbohydrates. Is the Keto diet appropriate for people with cancer? Talk to your health care provider or a registered dietician to see if the keto diet might be an option for you or a loved one. But keep in mind that nutrition is especially complex for cancer patients. The main concern is to stay nourished so treatment can proceed on schedule. If someone with cancer loses too much weight, they may have to stop treatment for a while or take a break between cycles of chemo. Side effects from cancer treatments can also affect nutrition. For instance, nausea and fatigue are common. And some types of foods aren’t tolerated well during treatment, which can make eating more complicated too. “If a person wants to know the best way to nourish themselves during cancer treatment, they should connect with a dietician,” Vincek said. Fox Chase has inpatient nutrition services. But we also offer outpatient nutritional counseling free of charge. These services can be helpful to anyone who is wondering what they should eat in light of a cancer diagnosis. Can the keto diet cause cancer? Meat can be a main component of the keto diet. But, like any diet, it’s important to make smart choices when deciding what to put on your plate. Processed meat can increase your risk of cancer, according a study by The International Agency for Research on Cancer (IARC). The study found that eating 50 grams of processed meat every day increased the risk of colorectal cancer by 18 percent. That’s about fourstrips of bacon or one hot dog. Other processed meats include foods like ham, sausage, and deli meats. It’s not just processed meat that can increase your risk. Excess read meat consumption can put you at an increased risk of colorectal, pancreatic, and prostate cancer. Red meat includes beef, pork, lamb, and goat. 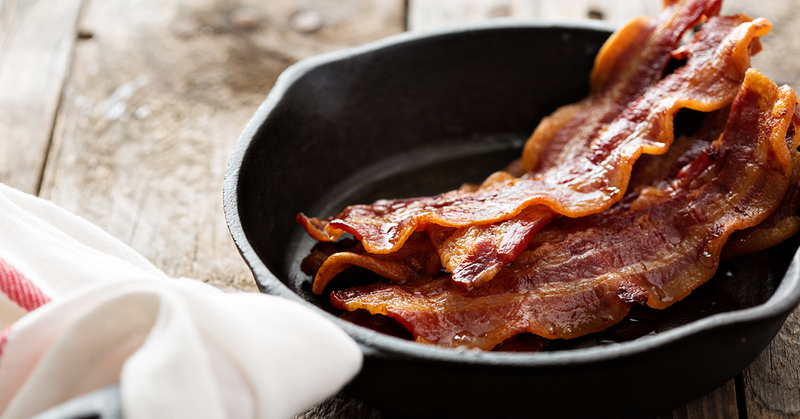 Now that doesn’t mean you can’t enjoy an occasional slice of bacon, but you should be keeping the amount of processed and red meat to a minimum if you want to lower your risk of certain cancers. In that sense, the keto diet may not be the right choice. Learn more about our nutrition program at Fox Chase Cancer Center or schedule an appointment with one our dietitians, call 215-728-2600.